It’s the annual “Neighbours’ Day” in Sion on Friday 25th May 2018. 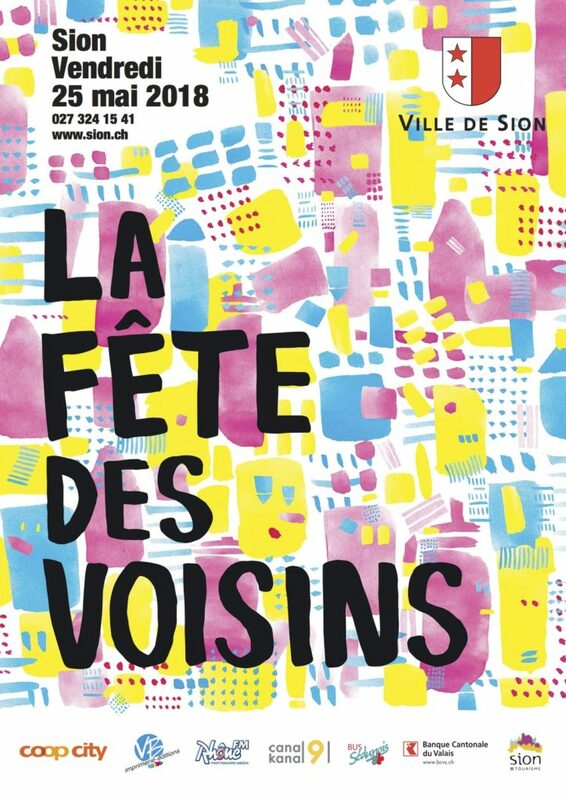 This day is organised by both neighbours and organisations themselves so take a look out in your neighbourhood for the La Fête des Voisins posters to see if there is an event going on near you. These events usually take place in the evening so it’s a great opportunity to meet new people after work for a drink or potluck supper (repas canadien).